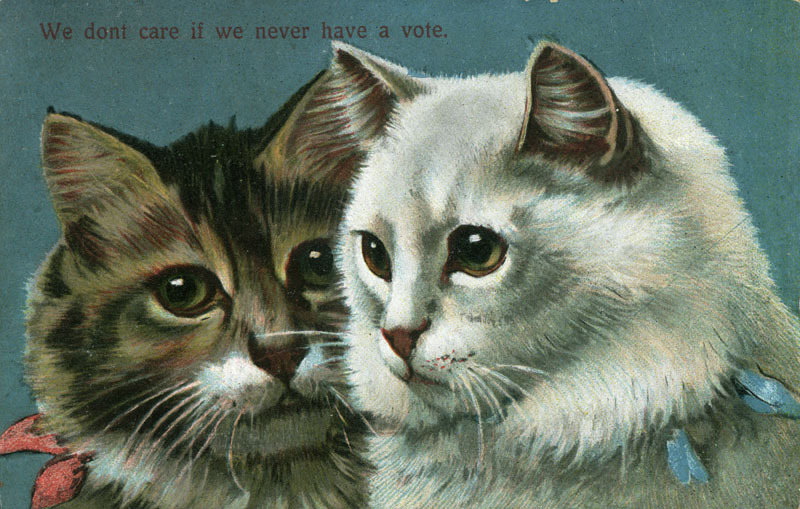 The vicious, vitriolic imagery and rhetoric of this election season can seem overwhelming, but as even casual students of history will know, it isn’t anything new. 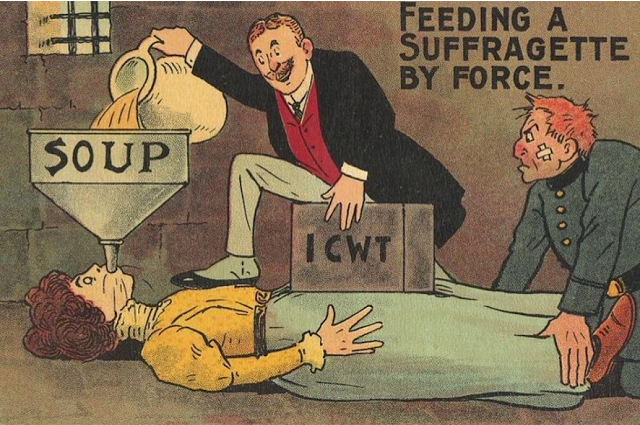 Each time historic social change occurs, reactionary counter-movements resort to threats, appeals to fear, and demeaning caricatures---whether it’s anti-Reconstruction propaganda of the 19th century, anti-Civil Rights campaigns 100 years later, or anti-LGBT rights efforts today. 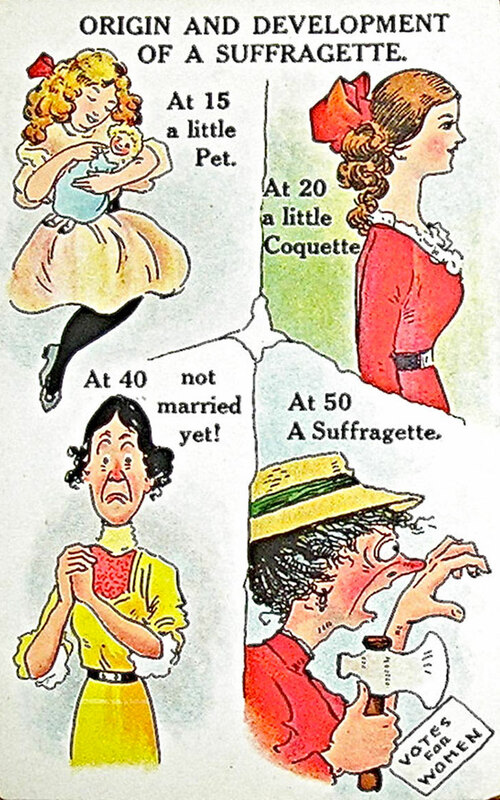 As you can see from the sample anti-suffrage postcards here---dating from the late 19th to early 20th centuries--- propaganda against the women’s vote tended to fall into three broad categories: Disturbingly violent wish-fulfillment involving torture and physical silencing; characterizations of suffragists as angry, bitter old maids, hatchet-wielding harridans, or domineering, shrewish wives and neglectful mothers; and, correspondingly, depictions of neglected children, and husbands portrayed as saintly victims, emasculated by threats to traditional gender roles, and menaced by the suggestion that they may have to care for their children for even one day out of the year! 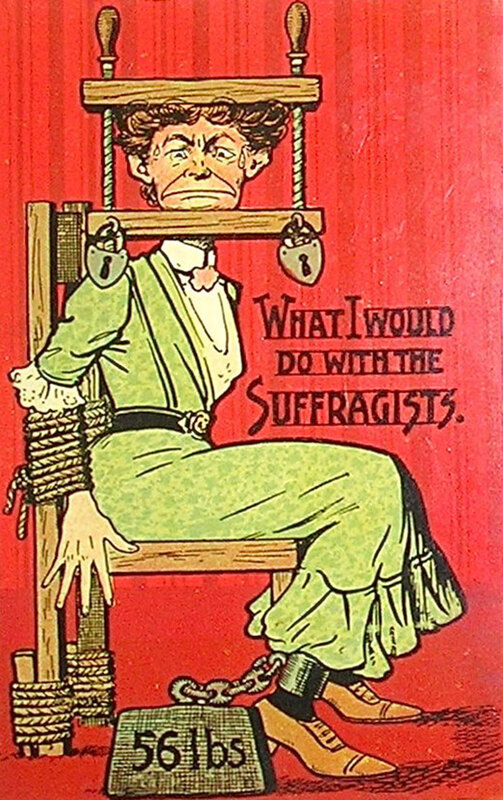 As she notes in the quote above, the postcards printed during this period did not all oppose women’s suffrage. 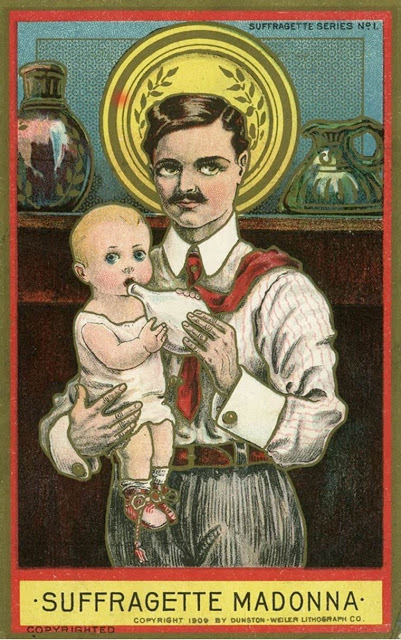 “Suffrage advocates,” writes Palczewski, “recognized the utility of the postcard as a propaganda device” as well. 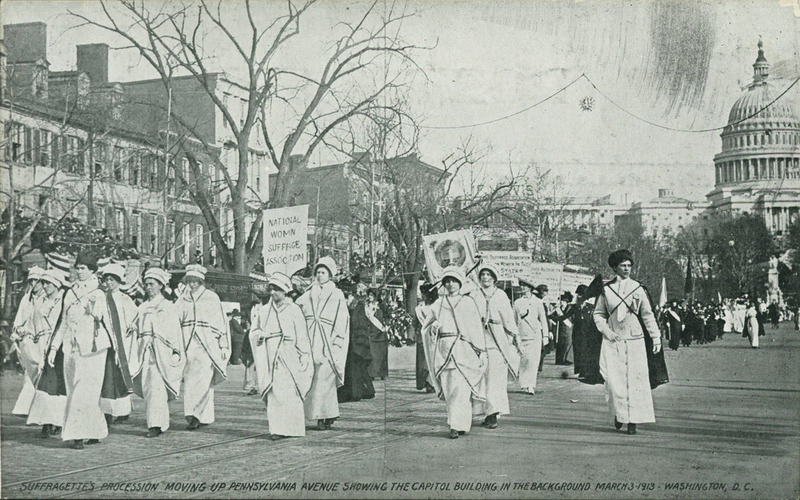 Pro-suffrage postcards tended to serve a documentary purpose, with “real-photo images of the suffrage parades, verbal messages identifying the states that had approved suffrage, or quotations in support of extending the vote to women.” For all their attempts at presenting a serious, informative counterweight to incendiary anti-suffrage images like those you see here, suffrage activists often found that they could not control the narrative. 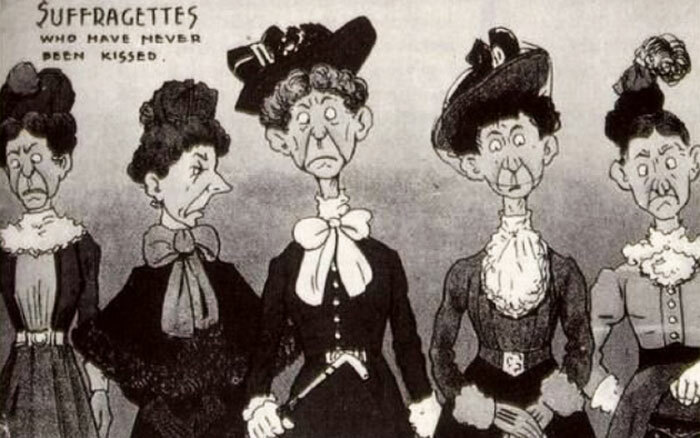 As Lisa Tickner writes in The Spectacle of Women: Imagery of the Suffrage Campaign 1907-1914, postcard producers without a clear agenda often used photos and illustrations of suffragists to represent “topical or humorous types” and “almost incidentally” undercut advocates’ attempts to present their cause in a newsworthy light. 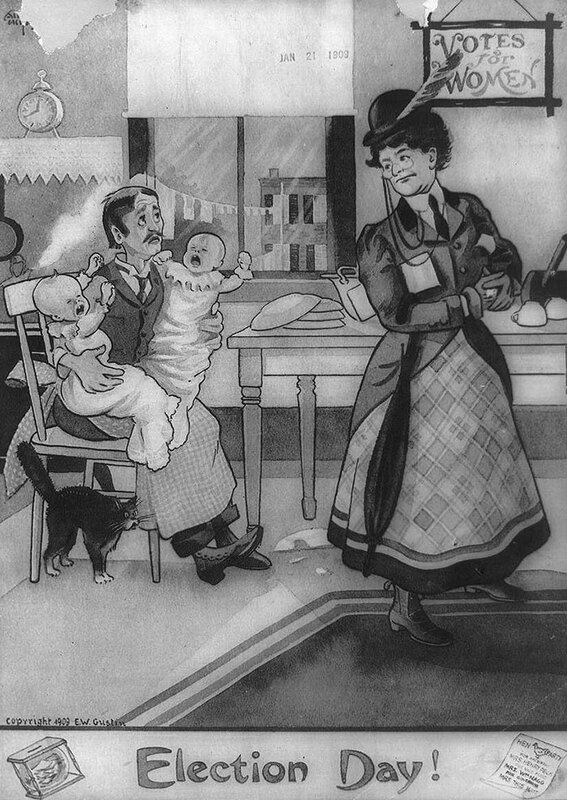 The image of the suffragette as a trivial figure of fun persisted into the mid-twentieth century (as we see in Glynis Johns’ comically neglectful Winifred Banks in Walt Disney’s 1964 Mary Poppins adaptation). 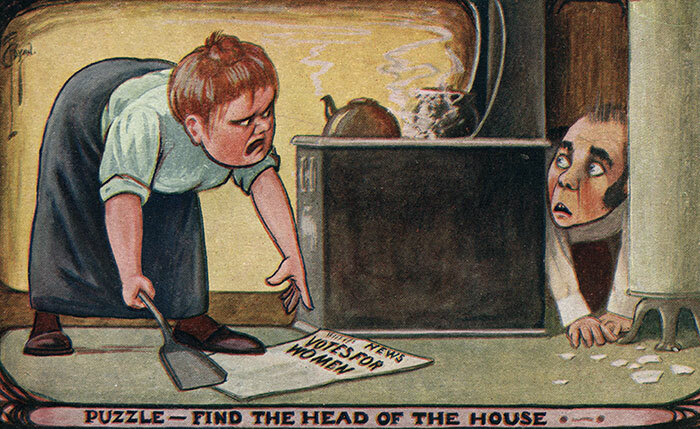 You can see many more historical pro- and anti-suffrage postcards at Palczewski’s website, and you are free to use them for non-commercial purposes provided you attribute the source. 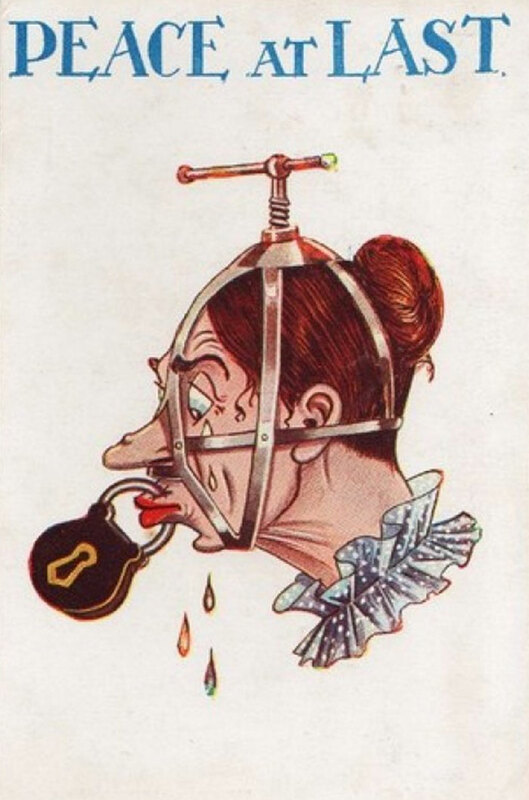 You are also free, of course, to draw your own comparisons to today’s hyperbolic and often violently misogynist propaganda campaigns. So am I being moderated, or are my comments simply being cast aside? It doesn’t say. In my opinion, it has come true. What has come true? 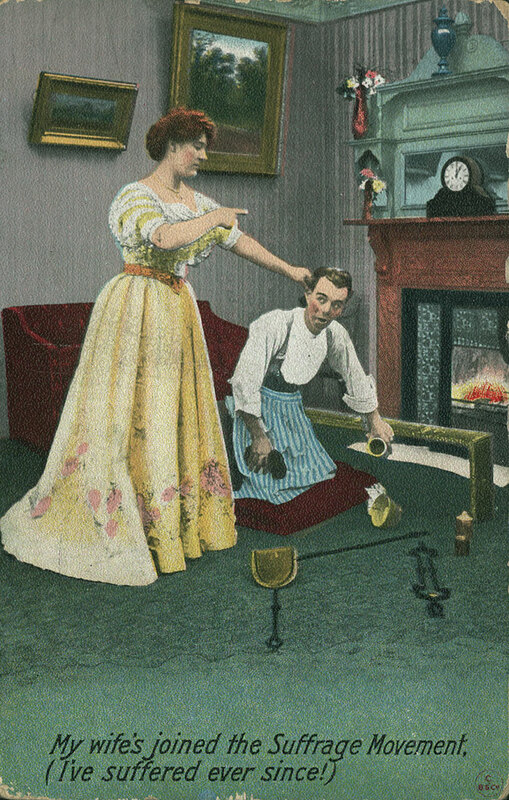 Are you saying that women now treat men like men have historically treated women? No, he’s saying the ‘movement’ changed the female behaviour. Luckily, it only applies to pop-culture.